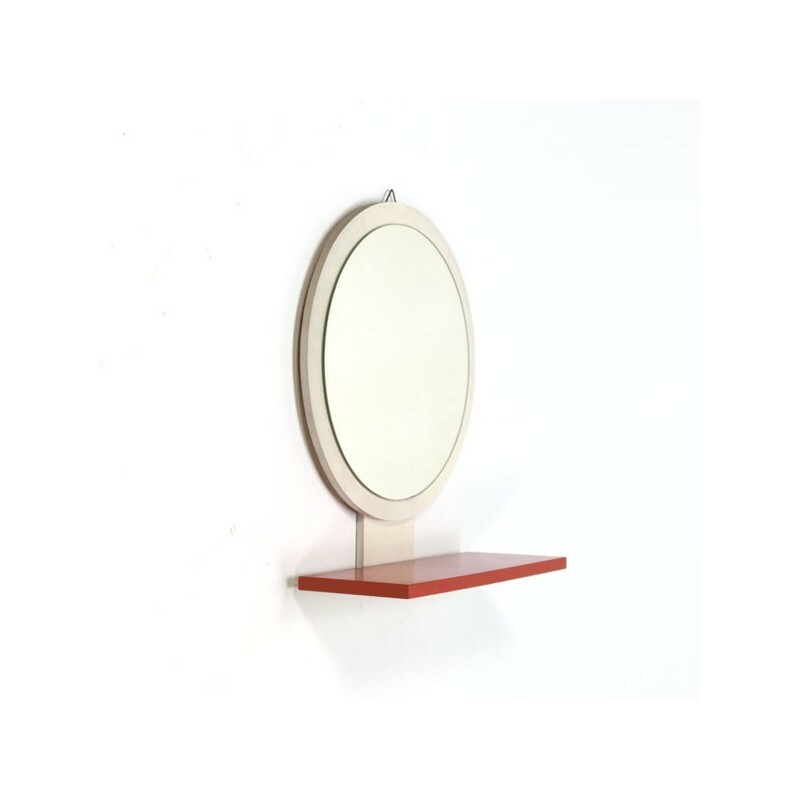 Vintage mirror from the late fifties, early sixties. 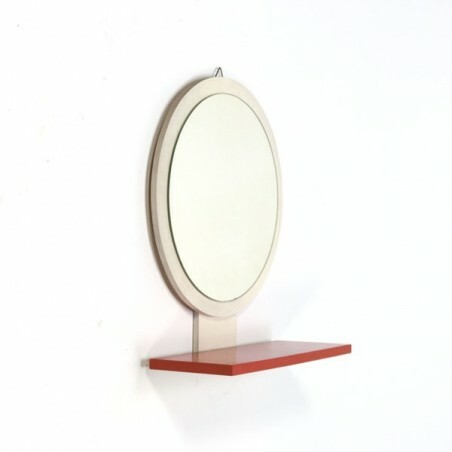 The mirror has a wooden back and small shelf, white and orange colored. The condition is good considering the age, see the detail photos. The size is 29.5 cm in diameter and 35 cm high.